Greetings! I am Suzanna, Michaela, Gabrielle. Archangel, Lily of Love, Trumpet of Truth, Sister and Messenger of Love. Welcome beloved ones, welcome angels and archangels, fairies, sprites and leprechauns, human beings, human beans. I come to laugh and play with you this day, for that is the way of joy. I do not wish to be known simply as thundering administrator of the universe, I wish to be playmate, and so I wish this message that I bring to you this day to be taken seriously, yes from the planet of Sirius, light-heartedly and completely to heart. I wish to speak to you about self-discipline. This is not a popular topic among the human beans, (sigh) they do not wish to hear about this very often, they say ‘oh, I have had many lives as nun, as monk, as priest, and I have practiced rigorous self-discipline, and I do not wish to hear about it’. Well, it does not matter, beloved ones, whether you wish to hear about it, it is an essential quality that we encourage you not only to practice but embrace and integrate into the very core of yourself. This quality, this practice this core of self-discipline is integral to everything that you do; to creation, to creation of cities of light, to bringing forth your hearts desires, to healing, to bringing and anchoring nova earth and nova being. We talk to you a great deal about the joy, and we watch and observe – as we have told you joy is a choice, and sometimes you choose it and sometimes you do not. And so on our side it is confusing why any would not choose the joy, the sense of unity, community, of Love, so we wish to address this issue with you, and one of the ways in which we may address it with you is through this practice, this integration, this anchoring, of self-discipline. It is the conscious choice, it is the conscious awareness, it is the conscious knowing, and the practice which is the action piece of choosing Love and joy, of choosing gratitude and surrender, of choosing, allowing, observation, discernment rather than judgment. 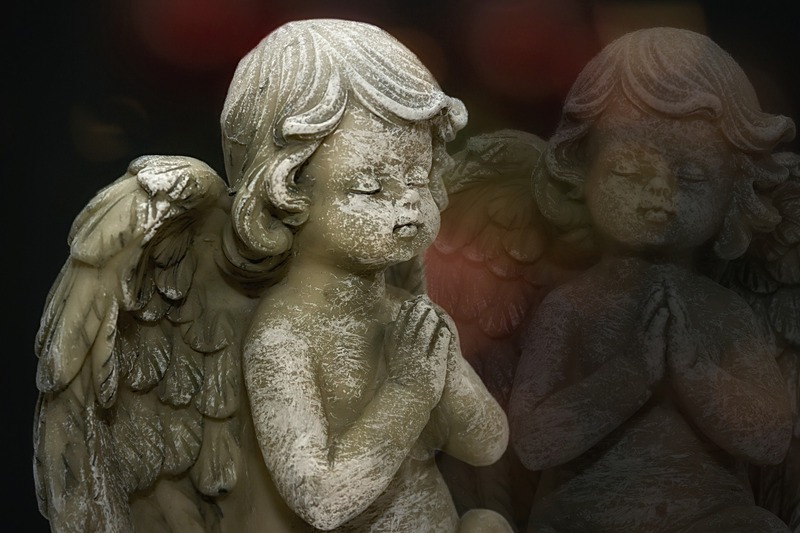 We are wishing to anchor this quality, my beloved angels, in your physical human selves, so that there is consistency in what you are doing, what you are asking for, how you are directing yourself, how you are proceeding and creating. We witness too much pain and suffering upon the planet still and that is not of joy. We explain and explain the choice for joy – as you would say until the cows come home. We speak again and again about the chaos and turmoil and the clearing but dear heart you know about this as well. So what we wish to speak of this day, what we wish to share with you, is this consistency practice that brings you from a place of reaction to choice, to consistent choice, and from there to conscious awareness. The discipline of consistent alignment brings you and grows you and literally eliminates pain. When you choose to engage in drama, and we suggest to you and have said to you, it is the addiction of the human race, so when you are working with this addiction to drama which is addiction to pain, work with your umbilical chakra, the belly button, dear ones, it presses all the buttons! Work with the golden liquid honey colour, and feel the energy flowing out, releasing the addictions and refilling with the beautiful golden light of joy. I have given you my heart of joy, which is also my heart of courage again and again and again and again. I will do this for eternity and it is yours to claim, I give you my golden magnets to manifest what you desire, to assist in this journey of change upon the planet. I could go on and on, my beloved ones, of the gifts that are bestowed upon you, but so often you are inconsistent in how you choose to let these energies flow to and through you. Oh, when you believe you are in trouble, when you are in pain you turn to us mightily, and we are pleased to lift you up, we are pleased to take you to the heart of Mother/Father to wrap you in the cloak of Mother. Do not make any misunderstanding about this we want you to turn to us when you are in this place, but what we are suggesting is that by the practice, by the consistency, by the self-discipline of using the tools, of using the joy, of choosing the thoughts and emotions that move you through your day, that move you through your existence, when you choose this then everything changes. You are not simply the passengers on the light-train, you are the train, you are the tracks, you are the air brushing by. Do not doubt how this quality of being stubborn, stubborn persistence, dear one, is yet but another name for consistent self-discipline, and it is mighty. What is your practice? How does that practice reflect who you are and how you choose to manifest and to experience this lifetime, how you choose to create and contribute to Nova Earth. Is it consistent every single day? Do you set time aside for the celebration of our unity, for the celebration of Love, for the celebration of your sweet self, to fill yourself with rainbows of joy? Do you do this? Or do you sit in the quagmire of pain and confusion? Do you sit wondering when we will show up? The miracles, beloved one, are upon you, but we repeat once again they are miracles of co-creation. The changes come from the people. We know, do not think we underestimate the endurance that you have shown and practiced, but do not underestimate us in our endurance with helping. But how we help is when you allow us to, when you allow yourself to choose patterns of light, of gratitude, consistency of joy, so it is a question I pose to you: do you choose to sit in sadness that your body is not functioning properly, that there is not enough money in your bank account, or do you choose to celebrate that you are breathing, that there is not a bill collector at the door, and that the warehouse of heaven is open to you? We suggest you access that warehouse of heaven. It is not a one time thing, it is an eternal practice. Eternal. On our side as well, not one day, one millennia, one aeon goes by that I, Archangel and messenger, do not spend time in praise and gratitude in thanksgiving in the joining with All. That is how the community is formed, that is how the unity is solidified, becoming unbreakable, there is no separation. That is why your heart rejects the loneliness and seeks out the Love, it is not just the spirit the physical being is hard-wired right down to your DNA, dear one. And each one of you has already been regrided – that work has been done long ago. So what we are asking of you in this journey together is the self-discipline to love yourself. Now what does this mean? It does not just mean the meditation, it does not just mean the daily ritual, it means the self-discipline in food, in choices, what you pollute your body with, or what you praise your body with; what you pollute your mind with or what you nurture your mind with. How you integrate the emotional field, does it serve you, does it feed you, does it enhance you or do you surround yourself with negativity? Yes, of course there are times when you are going to go into the chaos, that is the work of the light-holder. But it does not mean you absorb it, it means that you change, you are the catalyst of change, you go to the chaos you light the spark and you leave, still clean, in joy. So I ask of you, as the messenger, as the one who has been chosen to deliver those messages that are not always the most popular, I ask of you to think about this issue, the self-discipline, the colour of mauve, of (? ), reset yourself, reset your umbilical chakra, reset your heart, turn up your magnets to infinity, you are ready, take my golden heart of joy…please. Claim it as your own. The joy is in knowing, you are an angel of light, inhabiting a physical form that you have created and co-created with All. That is joy. Release the reaction, gently, as the flower in the breeze, shake it, the way a piece of pollen would fall gently to the ground. If you do not know how to do this, turn to me, make the self-discipline simply the consistency of turning to me. I will always be with you; you are my Council on Earth as I am spokes being for this Council in what you think of as above. We are integral to you as you are integral to us, let us help. And go and dance and play, the self-discipline will free you, it will create a new pattern of light, not drudgery but a celebration and honouring of who you are and who you wish to be. Farewell, farewell my beloved ones, farewell my human beans.